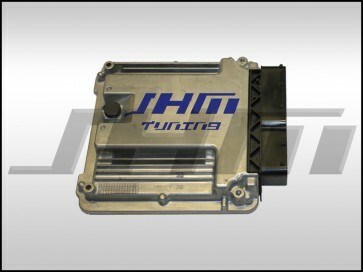 Introducing JHM Tuning for the B8-S5 with the 32v 4.2l FSI V8!!! IMPORTANT: After purchase you must go to your "Account" and then click "My Downloadable Products" on the left to download the Flash Server access form. Fill this out completely and then email to sales@jhmotorsports.com to receive detailed instructions, software and your account credentials. We have specialized in tuning naturally aspirated (NA) or "all motor" 4.2L V8 engines since we started tuning the B6-S4 in 2008. Ever since then we have been the number one company when it comes to Audi V8 performance. Like our success with the B6-B7 S4 and B7 RS4 has shown, our software has been proven time and time again to deliver real world performance. That continues with our tuning for the B8-S5 4.2L FSI V8. We purchased our in-house B8-S5 4.2L in mid-2013 and immediately began developing software. After countless revisions and putting the vehicle through our rigorous R&D process, we are happy to now offer the ultimate performance software for your B8-S5 4.2L FSI V8! In true JHM fashion, here is some footage of our in-house, record setting B8-S5 running 12.6 seconds at 108 mph in the quarter mile! JHM Performance Software for the B8-S5 4.2L FSI V8 will completely change the dynamics of how your S5 performs. This is because we change hundreds of ECU parameters to extract as much power possible and doing so without removing OEM safety parameters. You will experience much more torque throughout the entire RPM range and notice how much more powerful the car is when coming out of shifts. Not to mention our famous Launch Assist feature will help you execute a consistent launch each and every time. Our software turns your car into something that the S5 should have been from the factory. Our software alone will completely transform your S5. However, if you are looking to extract even more power, here are a coupe modifications we highly recommend! - JHM 2.5" Catless Test Pipes: Our 2.5" catless test pipes are very beneficial when it comes to making more power with the B8-S5. Removing the restrictive OEM catalysts will allow your engine to flow more exhaust and make more power. - JHM 2.5" Cat-Back Exhaust System: The 2.5" exhaust system that we offer for the B8-S5 will allow the exhaust to flow more efficiently with the calculated scavenging effect of our X-Pipe, allowing you to make more power. Please go back one section to take a look at the product pages for the above recommended supporting modifications. The LATE style Oil Level Sender is needed for model year 2008 S5s only. This is because our software updates you to a newer software version that was not made available to the 2008 vehicles. By not having the updated Oil Level Sender, your car will display an "Oil Over Filled" warning. This will not affect the car in any way and will only be an annoyance until the oil level sender is replaced with the late style. A good time to change the Oil Level Sender is while doing an oil change since removing the sender will cause you to lose some oil. We have both LATE Oil Level Senders and Oil Change Kits available in our store if you go back one section! One of the benefits of having the LATE Oil Level Sensor is that you can reprogram your MMI to utilize the new sensor's ability to display your current oil level! Check out our write-up on how to reprogram your MMI HERE --> MMI Oil Level Display for 2008 S5. When you order please specify your year, body type, octane, and flashing method by using the dropdown boxes below. - Transmission: In order to confirm that we have an ECU calibration for your specific box code, please select your S5's Transmission type (Manual or Automatic) from the dropdown below. - Year: In order to confirm that we have an ECU calibration for your specific box code, please select the year of your S5 (2008 - 2013) from the dropdown below. - Octane: In order to make sure you get the correct ECU calibration, we need to know what octane fuel you use on a regular basis. Please select 91 octane or 93 octane from the dropdown below. For Flashing Method, select "Flash Myself, SEPARATE Cable Purchase Required, CLICK LINK BELOW" if you're going to be buying a cable from us and flashing your car on your own. You'll need to add this option. and add to your cart after adding the tune, just selecting the option is NOT enough. Make sure you have THOROUGHLY read through the instructions and are confident that you can set your computer up correctly. If you select this option for your tune, you must select a shipping method for your order so we can ship you a JHM Tuning-Flashing Cable. Please select a shipping method once you've added the tuning and the flashing cable to your cart. Instructions for installing the flashing software on your computer will be emailed to you after purchase. DISCLAIMER: JHM is now using proven flashing technology in order to get our tunes on our customers' cars in the quickest and most convenient way possible. The customer will be responsible for removing or disabling their own or third party anti-virus software or firewalls that will block the port required for you to log into our flashing server. If something happens to your ECU during the flashing process, you should be able to restore it using our software. If you are still unable to make the ECU flash properly, you will be responsible for all costs associated with restoring your ECU and fixing the issue. - JHM Flashing Cable (Flash cable length cannot extend beyond 10 ft long unless a powered USB hub is installed in-line. You can download and view the instructions HERE to determine whether or not this is something you would like to do. Our dealer network is large and growing daily. If we don't have a dealer within an hour drive of your location, we will do everything possible to build a new relationship with a shop close to you on your behalf. Please contact us for more information. DO NOT SHIP YOUR ECU TO JHM!!! NOTE for customers with an ECU that already has brand-x software: JHM Flash Tuning technology will overwrite **most** previous tuning on your ECU. 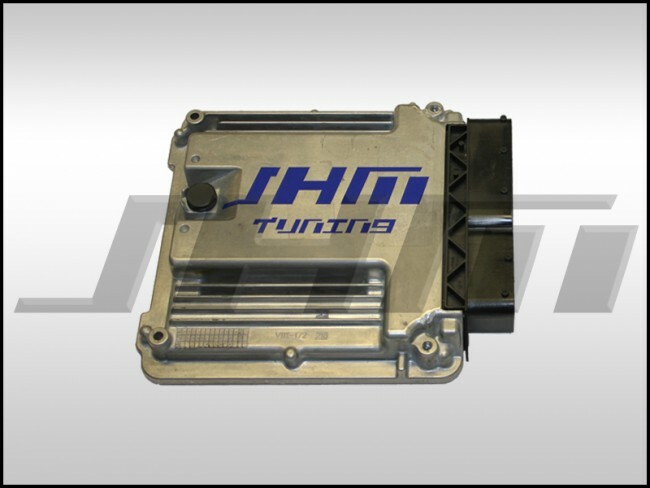 If you're already tuned with a poorly performing, "brand-x" ECU tune, you don't need to worry about it interfering with the process for becoming JHM Tuned. For shipping quotes: Please sign in or join then put the items you want in your shopping cart and proceed to checkout. If you are looking to purchase other products at the same time as your tune, please do so on a separate invoice. I purchased a used 2009 S5 end of summer. It had the AWE track exhaust installed by previous owner. My birthday was Mid Nov and said I'd drive her like she was and get a tune for my birthday. I just got around to it, and she definitely runs different, and in all good ways! It might be the throttle response that is so much different that is the large majority of the difference, but she just seems to run netter overall. My friend described it best. It's like she got over her cold. The only possible negative is why I mentioned the AWE exhaust. The exhuast isn't quite as growly, and it's much quieter when just cruising. I have a stick and I have to relearn how to shift with this new tune the throttle reslonse is so much more sensitive. I drove a factory stock V8 S5 for 15,000 miles. Got very used to the car, how it felt, how fast it was, etc. Then I got the JHM Full Exhaust and tune. As they state on their product page, it totally transforms the car. It's more powerful, idles smoother, pulls more eagerly from low RPM, and absolutely ROCKETS forward from 3500RPM. Hard to believe it's still all motor when you hit that sweet spot. You'd swear a turbo has been strapped on but nope, that's JHM for you. Oh and did I mention the sound of the exhaust is absolutely to die for. I have Ross-Tech HEX-NET Professional WiFi & USB Interface would that work to install the tune? As of right now, the only cable we know that works is the JHM/APR Cheetah Cable. You are more than welcome to try your own cable, just understand that it is at your own risk.